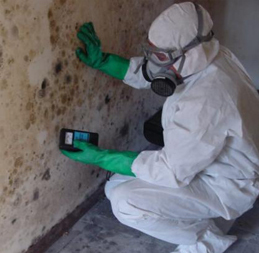 If you know mold is growing in your home it is a good idea to get a mold inspection immediately. Visible mold growth often means there is more mold growing somewhere out of view. This is why it is always best to hire a professional to do the mold inspection for you. Learn how we can detect mold that you can’t see with the latest technology through our mold testing equipment. Did you know that 99% of all airborne particles are invisible? There are potential health implications for your family, and a mold outbreak can take a financial toll, too. Once established, mold can be very invasive, releasing millions of spores into your home. Learn about our 5-step mold remediation process and how we can turn your mold problem into a mold-free zone. Don’t tolerate a wet, damp crawl space that has a musty odor. These conditions can promote mold growth and wood rot, eventually leading to structural damage and unhealthy air. Promoting a dry, healthy home starts from the ground up. 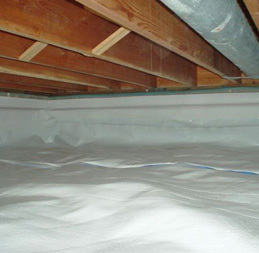 Pollution Soultions offers crawl space encapsulation with a vapor barrier to promote safe, dry, and clean crawl spaces. Excessive moisture caused by unsealed and vented crawlspaces leads to many bio hazards such as mold growth and wood root. Our de-humidifiers along with our sealing methods improve not only these problems but your energy costs as well. 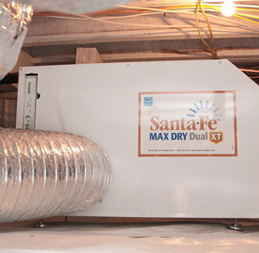 See how our de-humidification system can help clean your home air quality today. Everyone wants their home to be a place of comfort and relaxation. But this is hard to accomplish when energy leaks steal your ability to keep your home the temperature you want. 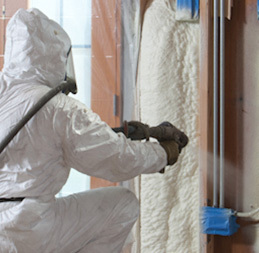 For proven energy savings and all the comforts of home, Pollution Solutions can install the right insulation that will save you money and keep your home cool in the summer and warm in the winter. Unclear air ducts can harbor viruses, bacteria, and other potential germs that can harm the health of you and your family. The more dirt that builds up in your air ducts can actually circulate particles on to your furniture and clothing which creates an excessive amount of dust throughout your home. 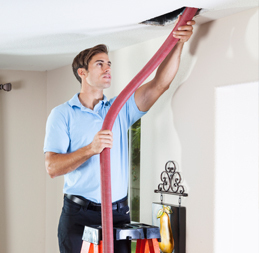 See how cleaning your air ducts can help prevent future allergy and asthma problems.